I needed to pack something for Ro when he was leaving after a short stay. Something healthy, easy to carry and something that would remind him of me and my cooking, since he has been on restaurant food for a couple of months now. I wondered what changes I needed to make to the measurements of my banana walnut loaf cake for a healthier version. I decided to replace part of the plain flour with buckwheat flour and the sugar with jaggery. 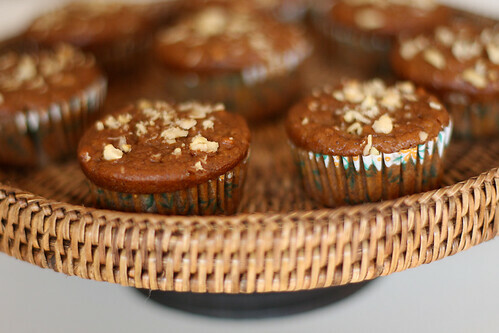 I adore the deep, dark colour and flavour that muscovado sugar imparts to baked goodies. Since muscovado is not easily available in India, and I had run out of stock of the muscovado I had carried from a trip to Singapore, I decided to replace it with jaggery. Actually, I was a bit skeptical about the role jaggery would play, but I’m happy to report that it did a fantastic job here. Jaggery is the most natural form of sugar and I spare no opportunity in using it wherever and whenever there is an element of “sweet” in the recipe. As far as the muffins go, they disappeared in 24 hours. Ro ate a couple of them and carried 4 and the remaining were eaten by people at home and shared with neighbours by my mother. You can replace the buckwheat flour with plain flour and the jaggery with sugar. The butter and yogurt can be substituted with vegan butter and vegan yogurt! Preheat the oven to 180C /350F/Gas Mark 4 . Melt the butter over a medium flame and keep aside. Sieve the plain flour, buckwheat flour, baking powder, baking soda and keep aside. In a food processor, blender or stand mixer, assemble the bananas, jaggery, yogurt and melted butter and mix till well combined and the jaggery is lump-free. Mix the banana mixture with the flour mixture and mix until just combined or just enough to bring everything together. Stir in the cashews. Fill the muffin cases or paper cups, decorate with the reserved cashew bits and bake for 25 to 30 minutes until a skewer inserted into the muffin comes clean. Looks very pretty! Love the presentation! Nice recipe. I'm reading the use of yogurt in cakes for the first time. How does it help? taste or fluffiness? Am blown!Mihir and I just looked at this- this has to be the best presented, absolutely delectable stuff on the site till date. The others come to a close spot. You must give these to us. 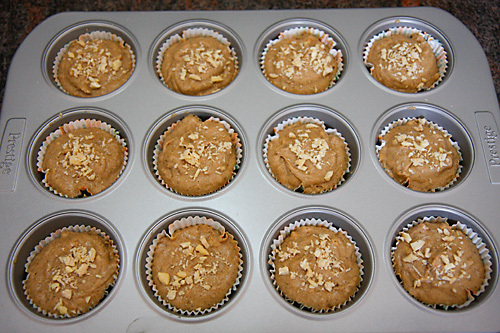 Wow thats fantastic recipe dear, you could sent this to Madhuram's Eggless Whole Wheat Baking event! Aru: Yogurt helps in improving the taste and texture of cakes. Simi: Will make them for you when you are here. OMG!!.. Wat a wonderful recipe dear… u r too talented dear.. looks soo yummy and perfect..
Awesome- looks so tempting and a lovely recipe. I am loving this recipe, I like the healthy ingredients you have added to the recipe. Purplefoodie: You wont be disappointed with jaggery. I'm a regular customer of conscious foods….will check out their dark brown cane sugar. Thanks. This is really exciting! I found this looking for buckwheat recipes and am wondering if I can replace the plain flour with buckwheat altogether, my DD 15 months cannot tolerate gluten. I need something else thats gluten free, any suggestions? Thanks for publishing these wonderful posts, quite a blog you have here! 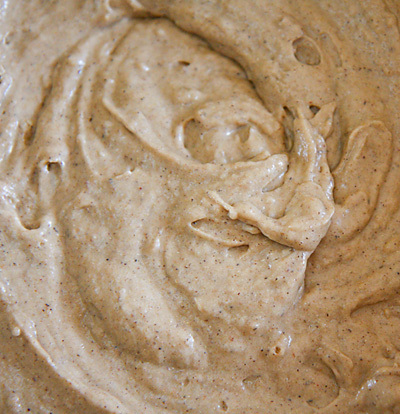 Speedmum: I have not tried replacing the plain flour with buckwheat altogether in this recipe. Let me know if you try doing this. Will try and post gluten free recipes soon. There are some already and you can take a look in the recipes section. Just made these today. I used soy milk instead of the yogurt and whole wheat flour instead of plain white. I also added some oats and some ground flax seed. I don't have jaggery, but I always have dark brown sugar on hand. Despite those changes they turned out fantastic, thanks for the recipe! I was looking for a muffin recipe without sugar and this solved that puzzle for me! Thanks so much for the recipe. Also, if I may add, I missed adding cashewnut to the blender. Guess you missed mentioning it in the procedure part. I hope my muffins come out well, I'm waiting for them to come out of the oven as I'm tying this! If your other recipes are anything to go by, I'm sure I'll get raves for this one too! Your site is absolutely fantastic. Keep them coming! Chaitra: Omitting the cashews won't make a huge difference to the cakes. I have updated the recipe. Thanks for bringing it to my attention. I tried these last night, using whole wheat flour in place of buckwheat. Delicious! Reminds me of some Indian sweet I ate as a kid. The banana, jaggery and yogurt combo is yumm!! Can I substitute the flour for buckwheat flour fully? Tanya: I think you can replace the flour with the buckwheat flour. The texture would be denser and heavier than this version though. What is the marathi name of buckwheat? Poonam: It is usually called kuttu atta in Hindi. Try looking for the same! Hi how about replacing 1 cup of Apf with half Apf and half wheat flour? just wanted to share about the banana bread we made today using your out of the world recipe. total fan of jaggery in it. Since I'm gluten allergic I experimented and used 1cup of Bob Mills all purpose gluten free flour, 1/2 cup organic oats and 1/4 cup rajgeera flour. rest of the recipe was exactly the way you mentioned. it came out super awesome taste wise, but dipped terribly in the centre. please advice what could have gone wrong? And your blog is the best ever, totally enjoy your beautiful dressing in your youtube video along with delish recipes. 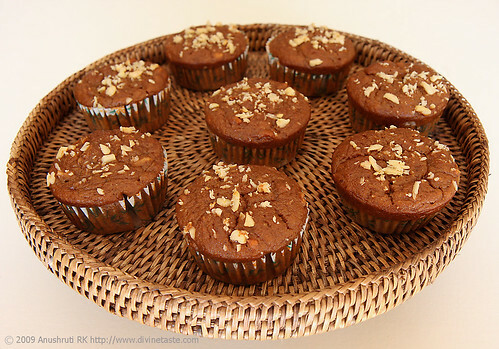 Hi Anushruti – These muffins were excellent. So moist and healthy bcos of the jiggery and buckwheat. Thank you! 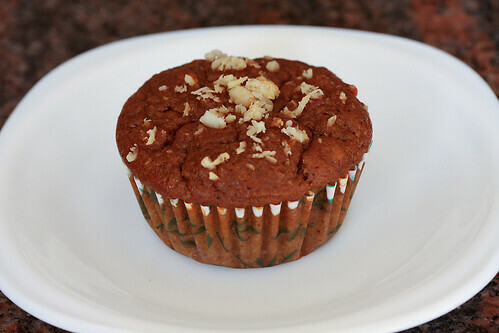 Hi Anushruti – These muffins were excellent. So moist and healthy bcos of the jaggery and buckwheat. Thank you! Anita- Thank you for the feedback!